Erdenetsetseg Haltmai, age 41, lives with her husband and two sons in an apartment in Ulaanbaatar, the capital of Mongolia. She and her family have been living in their permanent home address since 2000. Her husband drives a car as a taxi to support his family. Her two sons attend a local high school. 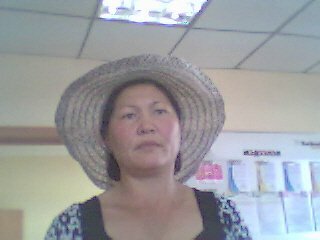 Erdenetsetseg started her business in 2003, purchasing used raw materials at the wholesale price and reselling them retail. In the beginning, she purchased only vodka glass but since then her business has expanded and she has been collecting all kinds of used raw materials. Erdenetsetseg increased her workplace by locating one container in a remote district and hired one worker in her new workplace. She also owns several livestock in the countryside. She is modest and hardworking person who says "I want to enlarge my business by opening a new workplace at home and to increase my business profits."